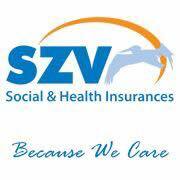 Social & Health Insurances SZV would like to inform the general public that as of Friday September 22nd our St. Maarten phone lines are open to offer customer service support. SZV customer service is available Monday – Friday from 9:00 am to 2:00 pm via the general number +1721 546 6782. All general inquires can be made by calling this number or contacting us via Facebook.